Surveys are exceptional tools for researching the profiles, preoccupations, needs, beliefs, opinions and priorities held by a select group. 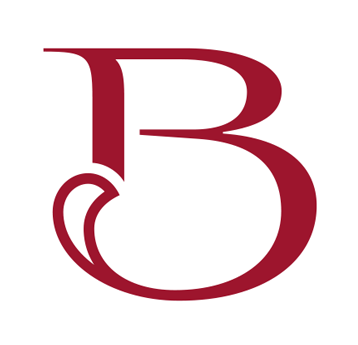 They demonstrate tendencies and allow us to develop well-supported theories. 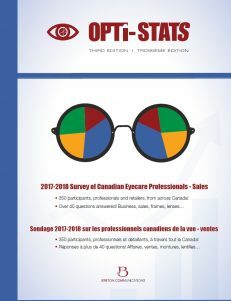 In May 2012, Breton Communications initiated the first-ever survey of Canadian eyecare professionals in order to create a benchmark for the vision care community and provide a baseline for future comparisons. 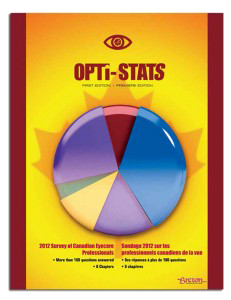 The questionnaire was lengthy but the response rate was a remarkable 20%, with a 57% completion rate. The final results demonstrated a 4.13% margin of error with a 95% confidence level and offered real insight into national tendencies as well demographic segments. 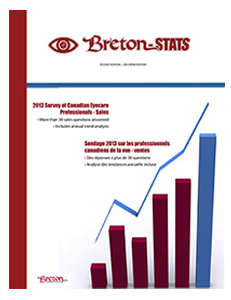 Since 2012, Breton Communications has successfully launched several smaller, follow-up surveys and has established itself as the leading provider of web-based survey solutions for the optical industry.